Gympie Regional Council has announced Ri Con Constructions will build the new equestrian centre at Kilkivan later this year. The total allocated funds for the project are $2.036 million with $1.075 million coming from the Local Government Grants and Subsidies Program. The planned development includes an 80m x 45m undercover arena and a raised undercover spectator viewing area as well as a review of electricity, water and sewerage to site. Council received a total of 10 tenders for the project. Ri Con Constructions were previously used by the GRC to build Curra Hall. Gympie Region Councillor Hilary Smerdon said the equestrian centre at Kilkivan would provide an opportunity to showcase the wider region. “Awarding a tender for the construction of this complex is an important first step,” Cr Smerdon said. “I believe the towns in our region’s outlying areas, as well as Gympie itself, will benefit tremendously from the business the equestrian centre will attract. 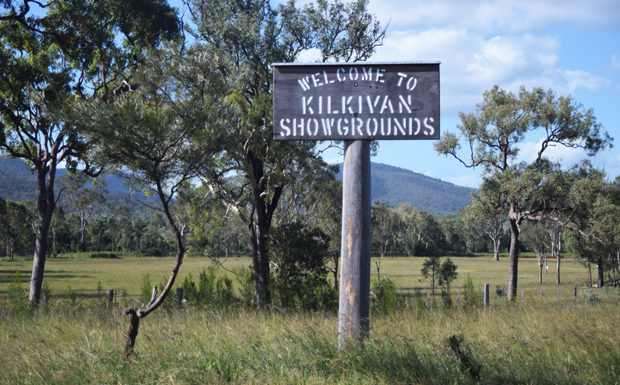 “Kilkivan is home to the Great Horse Ride and this new facility will enhance the area’s already strong connection to the equestrian community,” he said. The equestrian centre’s official opening will coincide with the Kilkivan Great Horse Ride in early September. Fantastic decision. Hopefully some ground available for carriage driving. Need a 100 x 40 metre area for driven dressage. Carriage driving is a strong and growing sport.